The Western Australia Self-Funded Retirees offers many benefits to its members ranging from the association’s quarterly journal to presentations at meetings on topics of interest to both fully and partly self-funded retirees. Meetings are held on the 2nd Friday of each month (except December & January) between 10am and 12 midday at Cambridge Bowling Club in the Sporting Precinct, Chandler Ave (off Howtree Place) Floreat. 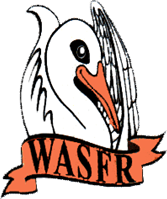 Disclaimer – Please note that nothing written or spoken in the course of WASFR meetings, talks given or any publications is to be construed as advice to members or visitors. Copyright WASFR inc © 2013-2014. All Rights Reserved.